Weary of war after war after war? A war on "terrorism" which we are told will never end? Tired of the constant stress of political tensions, threats of economic collapse, and corruption in high places? Fed up with Homeland Insecurity and the UnPatriotic Act? JOIN THE EARTH FEDERATION MOVEMENT (EFM). All proceeds (your donation) go to the Institute On World Problems (IOWP) --a nonprofit, nonpartisan think tank and educational organization specializing in Earth Federation/Earth Constitution/Provisional World Parliament studies and research. The World Constitution and Parliament Association is the organizing agent for the World Parliament Project. Are you a global citizen and a world patriot? Do you truly love your country? (1) The Earth Constitution/Earth Federation is the medicine the world needs to cure it from its fatal disease -- if only the world will take it. Join the Earth Federation Movement. Tell your friends and neighbors about the EFM. 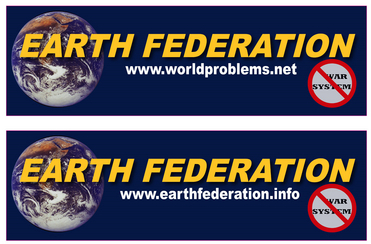 (2) Help us build the Earth Federation -- a new world body parallel to, but independent of the United Nations. The EFM is a worldwide peaceful political and spiritual revolution to save the earth and its inhabitants. The Earth Federation under the Earth Constitution: To end war; to eliminate weapons of mass destruction. 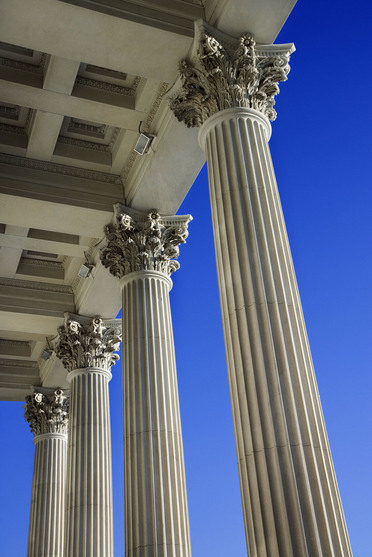 To insure authentic democracy; to end poverty and to protect human rights. To implement global environmental principles to insure a healthy earth and sustainable future. (3) I want to learn more about the Earth Constitution and Earth Federation. earthstarradio@aol.com or call Roger Kotila (415) 328-2341.